On December 10, 2009 the most unlikely sentence was assembled and that is; Dancehall artist Mark ‘Buju Banton’ Myrie was arrested on a charge of conspiracy to possess with intent to distribute more than five kilograms of cocaine. The Banton is presently held up at the Federal Detention Centre in downtown Miami his release date still unknown. It is a bit unsettling to know that the Gargamel who is now Inmate 86700-004, should be arrested for coke and not weed this little detail has many a conspiracy theory sprouting all over the internet. 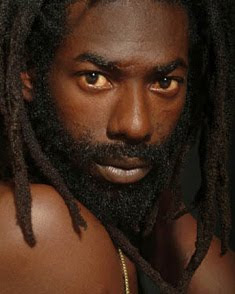 Buju was coming off a very successful and equally controversial North American tour to promote his Rasta Got Soul album, his ninth which is also nominated for a Grammy. Massive protests by gay and lesbian groups plagued the tour as Banton was accused of promoting violence against gays through the lyrics of his songs (more specifically Boom Bye Bye). This subsequently lead to a meeting of the involved parties in San Francisco however not much if anything was achieved. To date Buju’s record label Gargamel Music has kept quiet about the incident, even as authorities alleged that Buju and another man were caught on surveillance camera. Details of the arrest and subsequent charges will be released the morning of 14th December.